"""Lightweight and incredibly comfortable, thanks to the 4-way stretch fabric, the Flex Pants were designed for active hiking. Quick-drying and UV resistant for added comfort and protection. For three seasons of good times, the Flex Pants are constructed with an uber stretchy, moisture-wicking performance fabric, so they are light and breathable even on summer warmest days. The built-in belt and multitude of zipped pockets offer function and security, and the ergonomic knees provide freedom of movement. 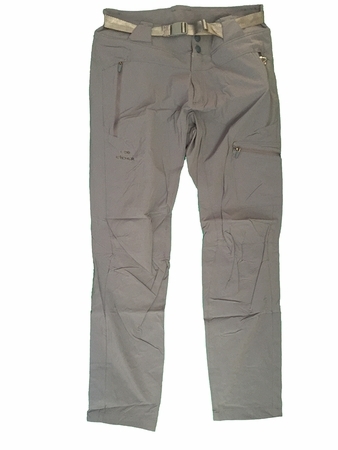 DRYCORE LIGHT 4 WAY STRETCH, UPF 30, 89% POLYAMIDE 11% ELASTANE "